Make your Overclocking dream comes true! 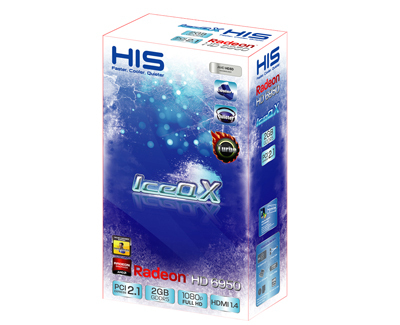 The HIS IceQ X Turbo models are bios-overclocked out of the box, and thus brings the immersive gamers the best over-clocking potential. 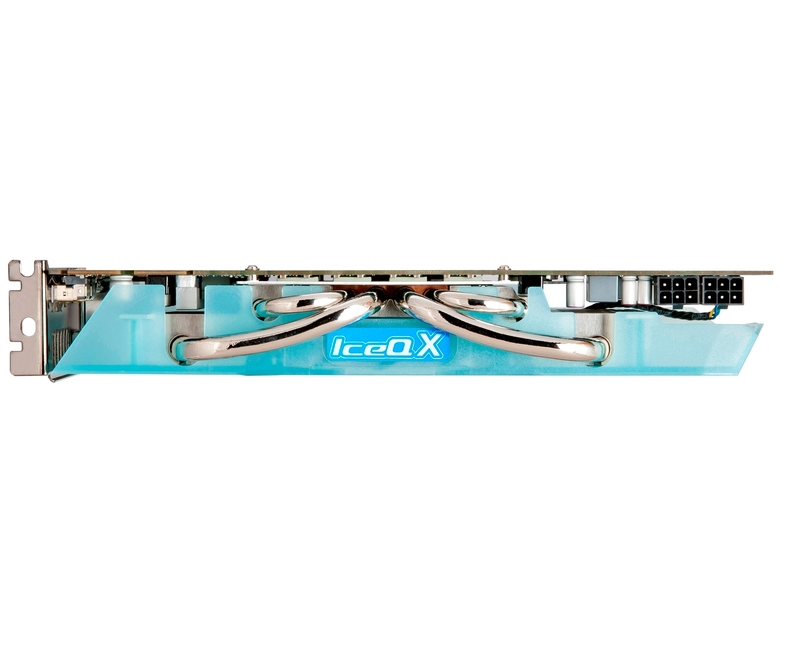 HIS 6950 IceQ X is cooler than the Reference Cooler. 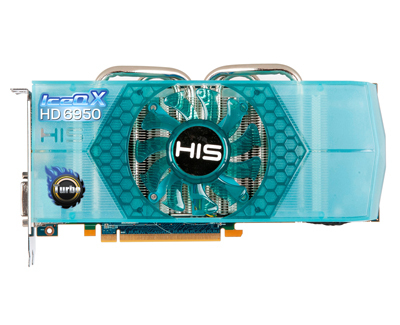 HIS 6950 IceQ X is quieter than the Reference Cooler. Dynamic Phase Control PWM IC - A significant energy saving technique for reducing power consumption. Solid State Choke (SSC) - Durable Iron that can maximize current capacity, power efficiency and stability. 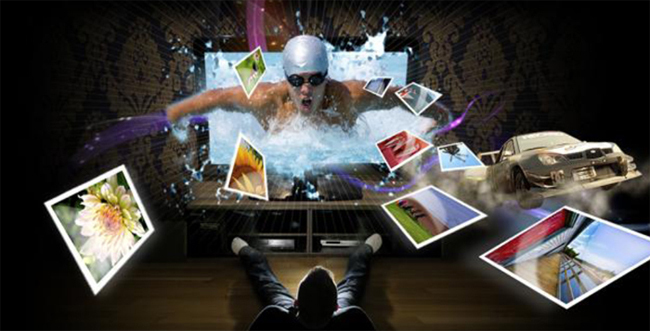 Full Solid State Capacitors - Extend the lifespan and storage capabilities. This is the best card I ever had. Runs everything on ultra settings (on bf3), super cool and super quiet... I cant even hear it at all... my case fans are louder than this (and it the case fans are already very quiet). I put the IceQ 6950 in my new amd 1100T build and all i can say is WOW. I can happily play dirt 3 in eyefinity at 5760 x 1080 at max settings with no stutter or noticeable drop in framerates. 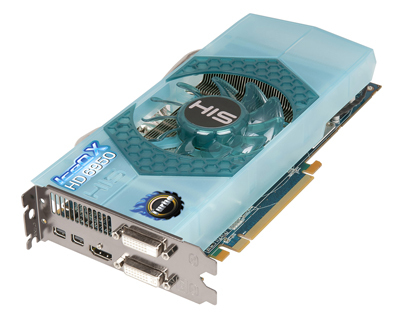 The card stays next to silent thanks to the IceQ cooler as well even under heavy gameplay, it has to be experienced to be believed. I would love to see what two of these cards would do in crossfire but I havent been able to stress this card enough to justify the extra card, I am sure that as games progress though that this card will keep up for quite a while and when it does start to slow down I know I only have to purchase another and I will be back up there with the best of them thanks to its excellent scalability once crossfired. 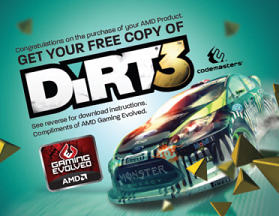 Overall an excellent card and highly reccomended to anyone considering a graphics update. This card is about as close to perfection as it gets. The framerates are incredible, the gameplay is phenominal, stutter and hic up free, and Blu Ray's and DVD's are crystal clear. This is my third HIS IceQ X card, and I can only say I am continually impressed. I put the card to the test on L4D2, Dragon Age Origins and Dragon Age II, Day of Defeat Source, Lost Planet 2, Need for Speed Shift, Crysis and of course Dirt 3. I turned all the settings to max and WOW! It is pure enjoyment. All gameplay and eye candy. I have a 26" 1080p HD LED monitor and the picture is flawless. I was building a new system a few months ago and knew a high end graphics card was essential to building the system I had always wanted. I was checking out all the different cards when I came across the HIS IceQ X series. The looks are distinctive and unique and right there I decided that this was the card. Not at all like traditional black and red. The glacial blue complemented the case and color scheme I was working on. The silver heat pipes just glisten and stand out with the case lighting. I read the reviews, checked out the tech sites, and that sealed the deal. I bought my first IceQ 6850 a few months ago and put it to the test. I liked it so much, I bought a second and crossfired them. I was working on a second system when this card arrived, and it is just phenominal. This card takes everything I throw at it and asks for more. I highly recommend HIS products, and this card in particular. It has taken my gameplay and overall entertainment enjoyment to the next level. I am now a dedicated HIS supporter and look forward to more cutting edge products and innovations. 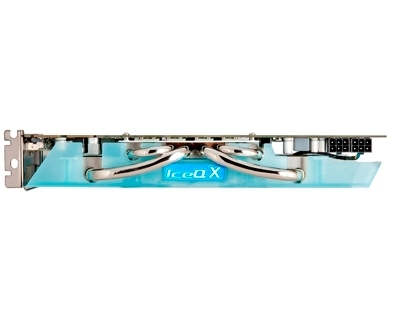 The one thing I really look forward to is adding another IceQ X Turbo and crossfiring them. I can only imagine what 4GB's can do. 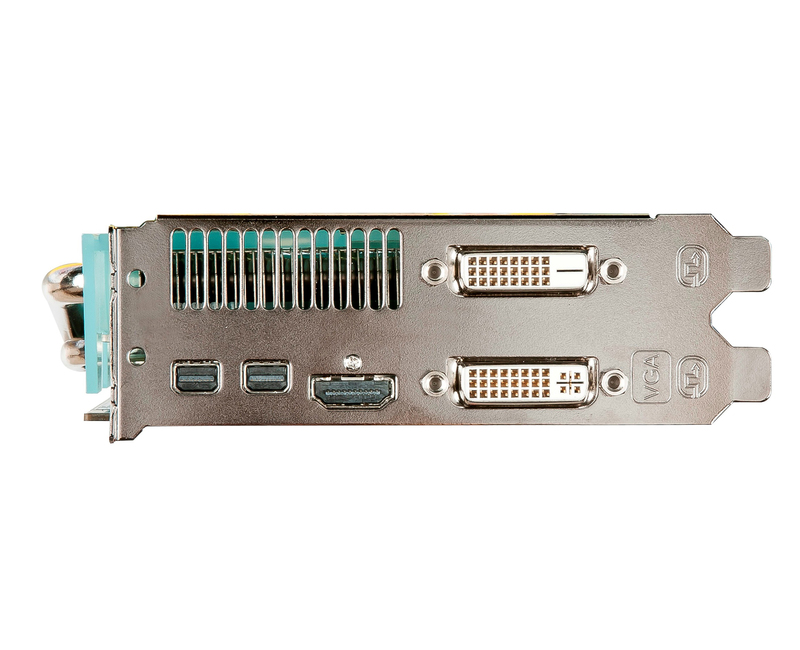 I run an Intel i7-950, Gigabyte GA-X58A-UD5 MB, with a 30” monitor at 2560 x 1600 and a 22” monitor at 1050 x 1680 . Everything I have runs at stock speeds, no overclocking. 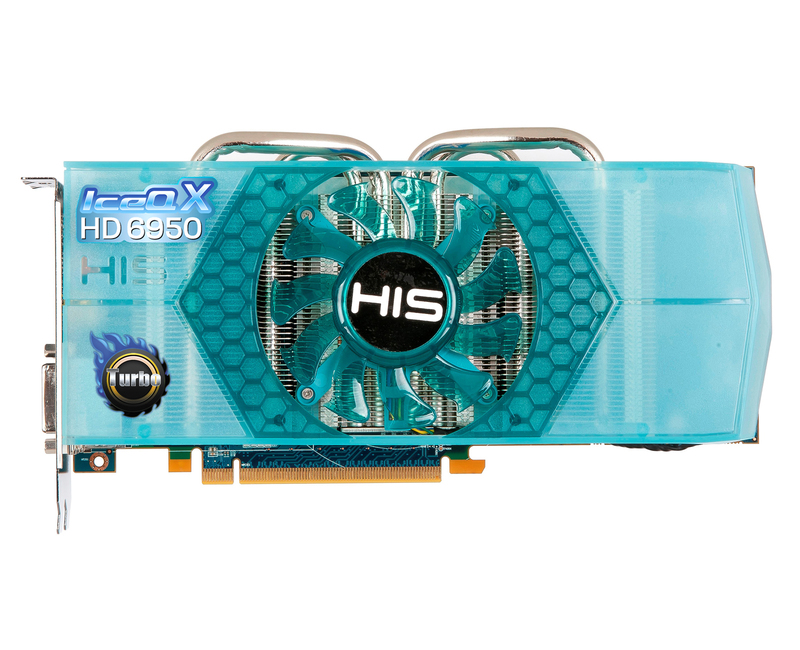 My new HIS HD6950 IceQX is the quietest card I have come across when putting out for my systems needs. Not only is it quiet it runs about 7°C cooler than my old HIS HD5870. 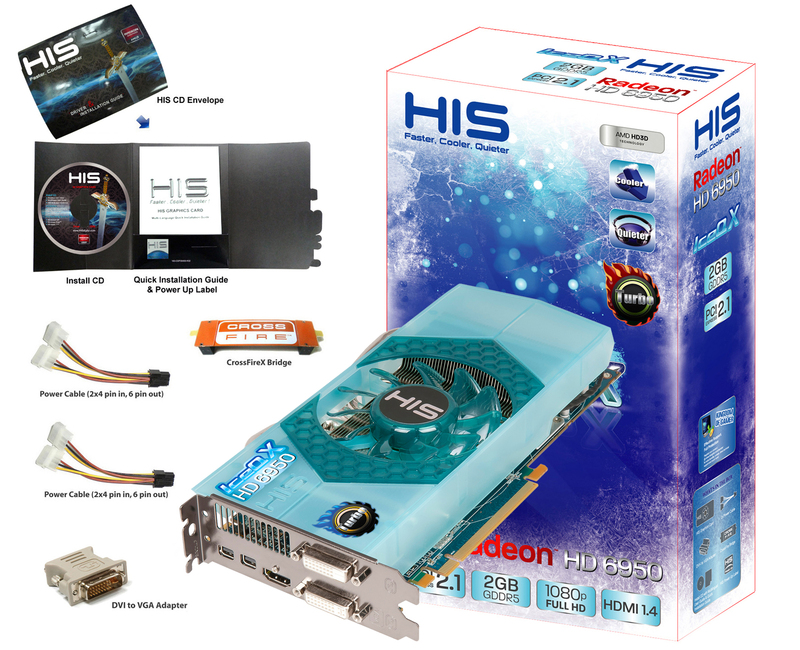 Overall an excellent card with excellent overclocking capabilities taking all factors into account - I consider this a superb card for the gaming universe at a price you can't beat (you can always spend more but why would you and if in the future the urge for more horsepower bites you then go crossfire). 5 out of 5 score. "The HIS IceQ Turbo X 6950 has shown us very clearly the potential in it, whether alone or in Crossfire team - absolutely convincing from our perspective. 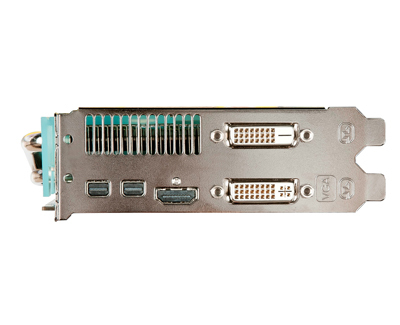 It offers good value for money and adequate facilities" Review-Center "Value for Money Award"
"Performs over non-overclocked models, with inaudiable noise, this HIS card worths a purchase." GameStar "Scores 82 out of 100"